“The mystery of who is trying to undermine the royals and let loose the terrible Yanchasa…weaves intrigue…amid the heartwarming blossoming romance between the princess and the courtier. “…Wright…includes characters who are charming… along with a classic love story to be savored by the romantic in us all. 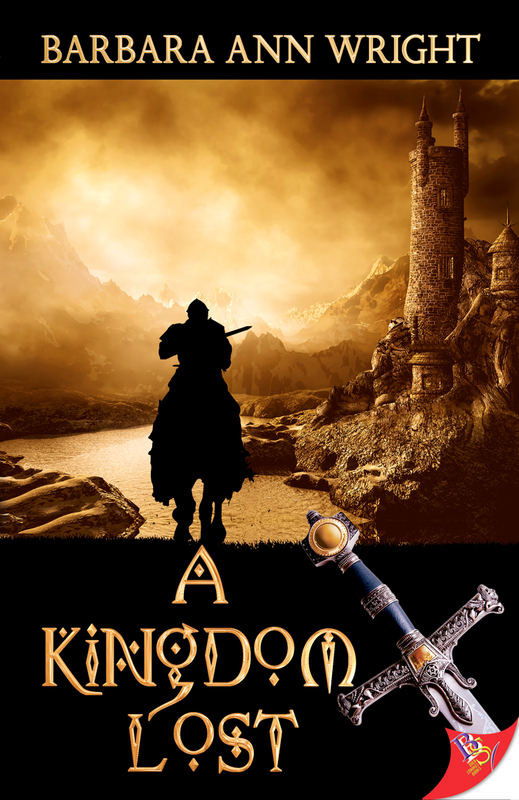 “Barbara Ann Wright is a master when it comes to crafting a solid and entertaining fantasy novel. “The Pyramid Waltz has had me smiling for three days. “I also haven’t actually read…a world that is entirely unfazed by homosexuality or female power before. I think I love it. 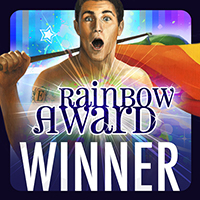 Winner of the 2013 Rainbow Award for Best Lesbian Fantasy. Also one of Tor.com’s Reviewer’s Choice books of 2012 and a 2012 Foreword Review Book of the Year Award Finalist as well as a Golden Crown Award finalist. One of Book Riot’s 100 Must-Read Sci-Fi Fantasy Novels By Female Authors. Listed on Autostraddle as one of the 100 Best Lesbian Fiction Books of All Time. Available on the BSB site, Amazon, Barnes & Noble, and wherever books are sold. Read what people are saying about it on Goodreads. Princess Katya Nar Umbriel’s uncle Roland rose from the grave, kidnapped her cousin, and stripped her of her greatest weapon—her Fiendish power. Without her Fiend, Katya doubts her ability to weather the storm her uncle is brewing. When she lacks what even the children in her family possess, can she even call herself an Umbriel? In only a short time, Starbride has become the princess consort, a pyradisté, and a member of a secret order in charge of protecting the crown. Even steeped in responsibility, she’s still an outsider. While wading through court intrigue and resisting schemes to break her bond with Katya, Starbride must prepare for a covert war. Roland is waiting, watching, ready for any chink in their armor, and he doesn’t care who knows their secrets. “I love seeing a passionate, adoring romantic relationship flanked by friendships…of different weights and colors. “My favorite characters returned, and they’re even MORE amazing in this book than they are in the first, if possible. “This book will keep you turning the page to find out the answers. 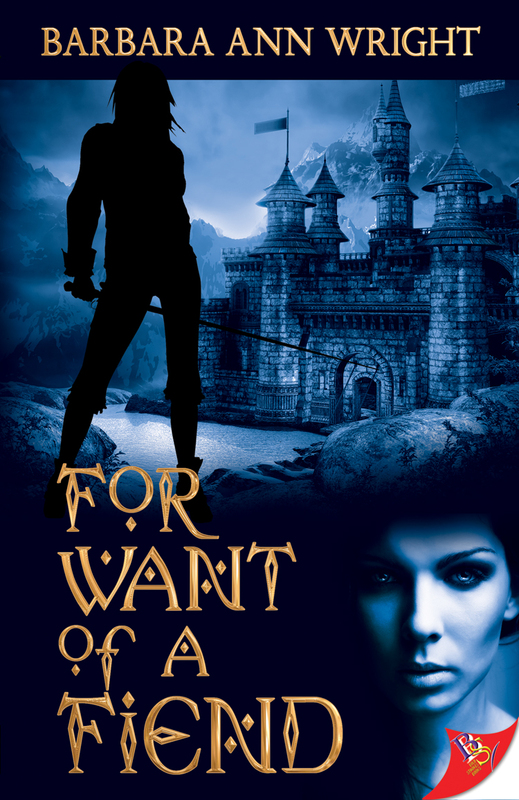 Winner of the 2014 Rainbow Award for Best Lesbian Fantasy Romance. Within the walls of her palace, Princess Katya’s best friend lies at her feet, close to death. Her pyradisté is overwhelmed by some mysterious power, and her former lady-in-waiting has stabbed her in the back. Wounded and nearly alone, Katya must find a way to sabotage the magic of her Fiendish uncle Roland, or those who fight for the capitol will be overwhelmed by hypnotized guards and Fiend-filled corpses. Starbride’s pain is nearly overwhelming. The agony inside her only lessens when she satisfies a strange new desire to hurt those around her. She may hold the key to banishing Fiendish power from Farraday, but only by using it herself. Together, Katya and Starbride must make a final desperate push to take back the kingdom, but even if they survive, can the strength of their love keep them from madness? After all, fighting evil with evil has its consequences. 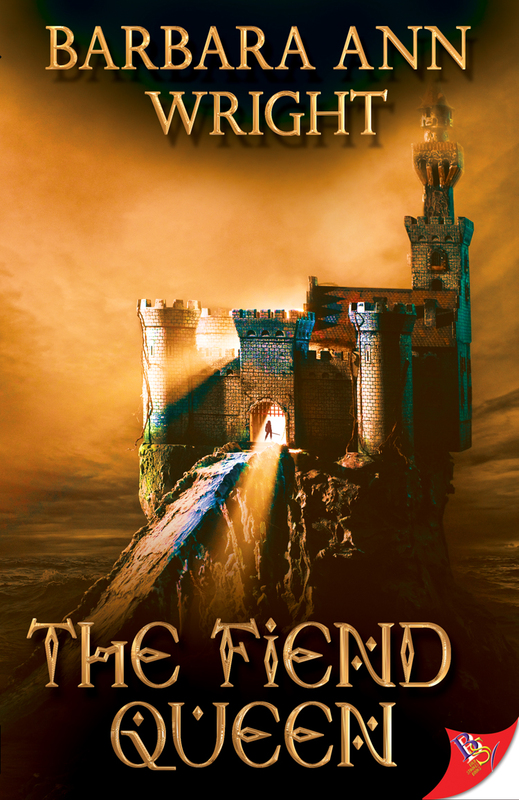 “The Fiend Queen by Barbara Ann Wright as well as the rest of the series (A Pyradisté Adventure) and its characters are now ingrained in my soul. I’m so sad that this is the last book in the series and I’m not ready to let it all go. I’ll probably never forget about this story, it has definitely taken a piece of my soul with it to the “to be read again” shelf. There were so many amazing characters throughout the series. This book was no exception. I never got bored with the original characters because they always kept growing with the story. On the flip side, I never had a problem with any of the new characters introduced because they were all extremely likable. After reading this series Barbara Ann Wright has made my favorite author list. Her writing always seems to sweep me away to another world. The pacing, characters, and language were all perfect. 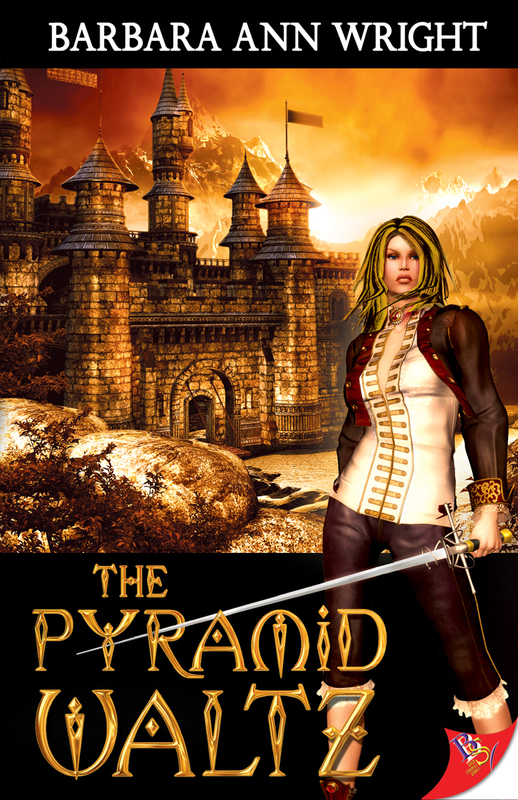 …After finishing the series A Pyradisté Adventure I knew that I had found a diamond. I can’t wait to read the rest of Barbara Ann Wright’s works. Avaliable on the BSB site, Amazon, Barnes and Noble, and wherever books are sold. See what people are saying about it on Goodreads. “Once more Barbara has outdone herself in her penmanship. I cannot sing enough praises. 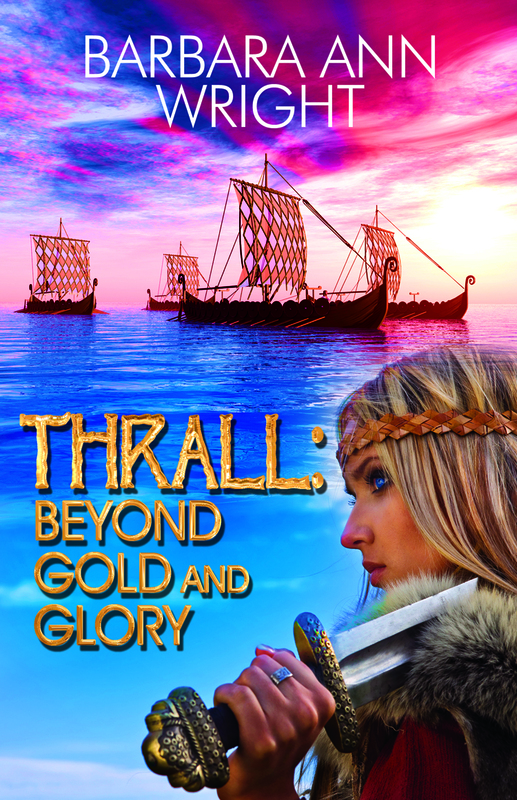 A little Vikings, a dash of The Witcher, peppered with The Game of Thrones, and a pinch of Lord of The Rings= Mesmerizing… I was ecstatic to read this book. It did not disappoint. Available on the BSB site, Amazon, Barnes and Noble and wherever books are sold. See what people are saying about it on Goodreads. A Godfall novel, book one. “I loved this. The set up with a colony ship experiencing a disaster and the survivors developing God-like powers was quickly and effectively drawn, with the politics and interplay of those on the ship excellently established. Simon Lazlo was a fascinatingly flawed character who knows that what he has done is wrong, but at the same time is still proud of the positive achievements of his work. “Paladins of the Storm Lord by Barbara Ann Wright was like an orchestra with all of its pieces creating a symphony. I really truly loved it. I love the intricacy and wide variety of character types…I just loved practically every character! …I truly adored Shiv, one of the drushka females. She was just adorable and the perfect comedy relief. A lot of the characters had their own distinct personality which made the book absolutely interesting to read. …The book was too the point, a lot of action, with great pacing and flow. My favorite was the way the drushka spoke I think Barbara Ann Wright did such a fantastic job with it…I would read a whole book about the drushkas! Available on the BSB site, Amazon, Barnes and Noble, and wherever books are sold. Take a look at it on Goodreads. A Godfall novel, book two. Available to order on the BSB site and Amazon. Add it on Goodreads. A Godfall novel, book three. Available to order on the BSB site and Amazon. Find out what people are saying about it on Goodreads. “…it was the cover that caught my eye and made me say ‘Self, you must check out the blurb for this one and hope you want to read it because damn, that cover is awesome.’ Okay, Greek myths, gods and monsters and a trip to the Underworld. Sign me up. Available from Bold Strokes Books and Amazon. Read what people are saying on Goodreads. Available from Bold Strokes Books and anywhere books are sold. Featuring a new Katya and Starbride story. Available on the BSB site, Amazon, Barnes & Noble, and wherever books are sold. Find out what people are saying about it on Goodreads.